SNAP 2018 exam concluded yesterday. Experts say that the exam was easier than last year. SNAP 2018: Symbiosis National Aptitude (SNAP) Test 2018 exam concluded yesterday. With SNAP, finally management aspirants got to witness an 'easier than last year' MBA entrance exam. 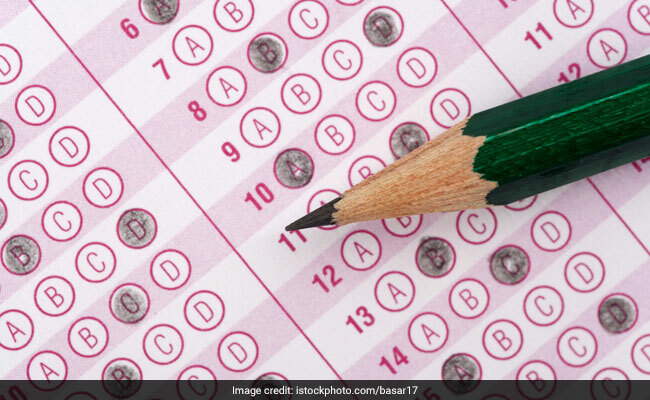 As per experts, the SNAP 2018 question paper was more on the lines of papers seen pre-2016. Even the Special Questions were not very difficult. Overall, the paper was easier than the previous two years. There were four sections viz. General English, Quantitative Ability, Current Affairs, and Analytical and Logical Reasoning in the paper with 30+5, 30+5, 20+5 and 30+5 questions (MCQ+Special Questions) in each section respectively. The sections were jumbled up. Each MCQ question carried 1 mark and special question carried 2 marks. In case of a wrong answer 0.25 was the penalty for MCQs and 0.5 was the penalty for special questions. We spoke to Mr. Gautam Bawa from Career Launcher about the questions asked in SNAP this year and his predictions for the cut off marks. He said that this year English section was dominated by RC and vocab. The Reasoning section had only one question on Verbal Logic. Overall, the English and Quant sections were easier. Even Logical Reasoning, while continuing its saga of a couple of incomprehensible question types, was easier than last year. Current Affairs section was similar to last year. Here's a detailed analysis of the SNAP question paper by Mr. Gautam Bawa. There were 2 RC passages in the paper. Each passage contained 5 questions. The first passage was on Google's attempts to track the movement of the user. One question was on the title of the passage. Rest was fact based. The second passage was on the opening up of the economy. All the questions were fact based. The vocab questions were more or less easy. There were 2 questions on synonyms and 1 question on antonym. Furthermore, there were two other vocab-based questions that were visible under the newly constructed special questions segment. The Fill in the blanks questions were based on grammar. Overall, it was an easy section to attempt. An attempt of 30-32 in 25-30 minutes with over 85% accuracy can be considered ideal. The quantitative ability section turned out to be easier as compared to previous years. The weightage to Geometry and Modern Math increased and there were no questions from number system. The lack of a calculator meant that estimates had to be used while answering quite a few questions. This section surprised students as there were no questions from DI and DS which made quant less time consuming. While the questions weren't very difficult it was important for students to spend a good amount of time on this section. An attempt of 23-25 in 45 minutes with over 85% accuracy can be considered good. The Reasoning section of SNAP finally veered away from weird questions, as has been the norm over the last 2 years. The paper tested reasoning skills along with basic Physics knowledge. The set on sitting arrangement was long and expressed as a passage instead of point format, making it all the more tedious. However, if one was willing to spend about 12-13 minutes then it would have led to 7 correct answers. Overall, a difficult section but way 'less weird' as compared to previous year papers. The section had different kinds of questions and was dominated by Business Awareness and Polity. Overall the section was similar to last year, and students would have done well to attempt about 10-12 questions with 60-65% accuracy in about 10 minutes. Overall the paper was easier than last year, and students can expect a good score if they have attempted about 85-90 questions with 80-85% accuracy.